Once the holidays have come and gone, the next (and often dreaded) step is putting away all of those decorations. The trick to packing and storing Christmas decorations is to put them away as you put them up. For example, if the first things you put out are the inflatable lawn decorations, they would be taken down and put away last. This will help to keep everything that goes together in the same storage containers. Here are a few more tips to keep in mind when it comes time to start packing your holiday items. Instead of removing them from the tree and tossing the ornament and the hook in a bag, the best way to store them is to remove the hooks and wrap each ornament individually. Put all of the hooks in a zip-lock bag. To wrap the ornaments, use leftover tissue paper or wrapping paper. The paper will protect them from breaking and help keep them organized. If you take your time packing them, you will thank yourself next year. Plastic shoe boxes with lids, an individual wine bottle box or a flat container with dividers all make great storage containers for ornaments. When storing wreaths that have candy as part of the decoration, make sure to remove any pieces that are not tightly wrapped. This will help prevent insects and rodents from destroying the wreath. An easy way to store the wreath and to prevent it from getting damaged is with a hanger. Simply attach the wreath to the hanger using zip ties. Cut a small slit in the top of a trash bag, slide the bag over the hanger and the wreath, then tie a knot at the bottom (top, open end) of the bag. There is nothing more frustrating than having to spend hours untangling strands of Christmas lights. To ensure that Christmas lights are in good working order next year, replace burnt-out bulbs before storing them. 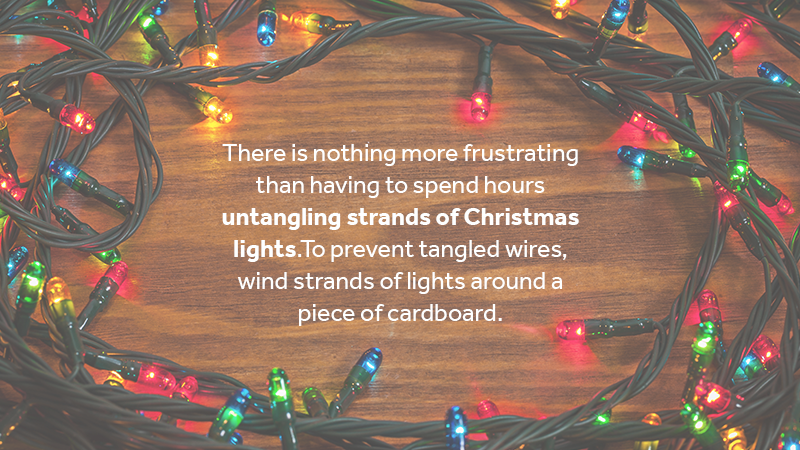 To avoid tangled wires, wind strands of lights around a piece of cardboard. It is best to separate the strands and wrap each separately. Store all lights in the same container. Don’t forget about the wrapping paper! Holiday paper is often a forgotten item that usually ends up shoved in a closet or thrown in the garage. If you have several small pieces, recycle the paper by running it through a shredder. You can reuse the shredded paper to line the bottom of gift baskets, to cushion fragile ornaments or as packing material. 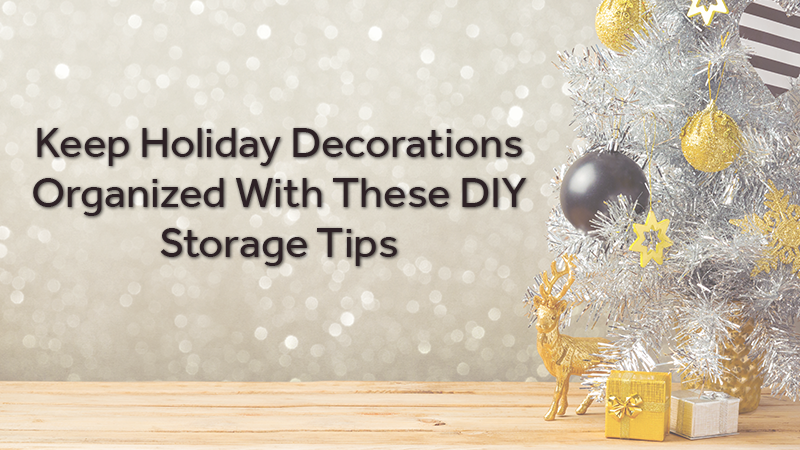 When it comes to storing holiday decorations, instead of cluttering the garage, shed and basement, declutter these areas by contacting Zippy Shell Houston to learn more information about our portable storage options. You can pack up and send off your holiday decorations to Zippy Shell to store until next year. Contact us to learn about our promos and save $20 with our current winter special! If you stay up to 12 months (perfect for holiday decorations!) you can pay as little as $129 with free delivery!